9 J.L. de Guzman St.
CASA DE DOÑA UPENG was built in 1950. 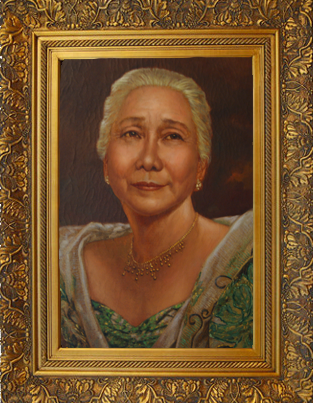 After serving as the ancestral home of Doña Guadalupe Bengzon Jimenez and her descendants, it was lovingly restored in 2007 by Dr. & Mrs. Vicente B. Jimenez and their children. 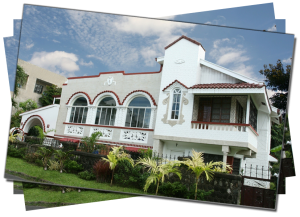 CASA DE DOÑA UPENG has been, and still remains, a prominent landmark in the town of Mangaldan, Pangasinan. 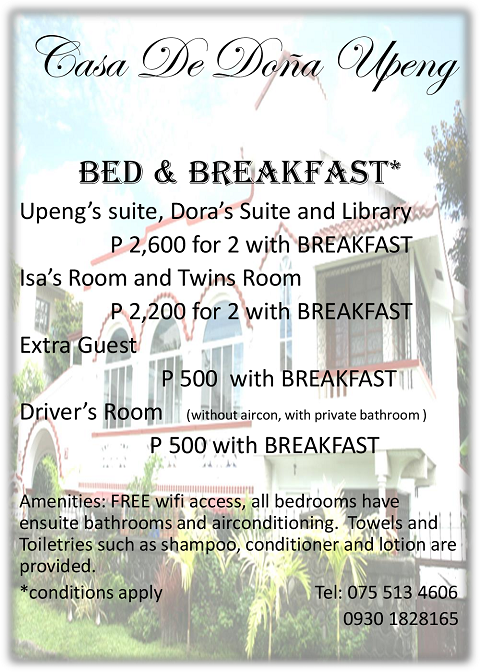 CASA DE DOÑA UPENG is now a first class bed and breakfast as well as a premier function venue. We welcome you to share in the enjoyment of our home’s memories and ambiance. 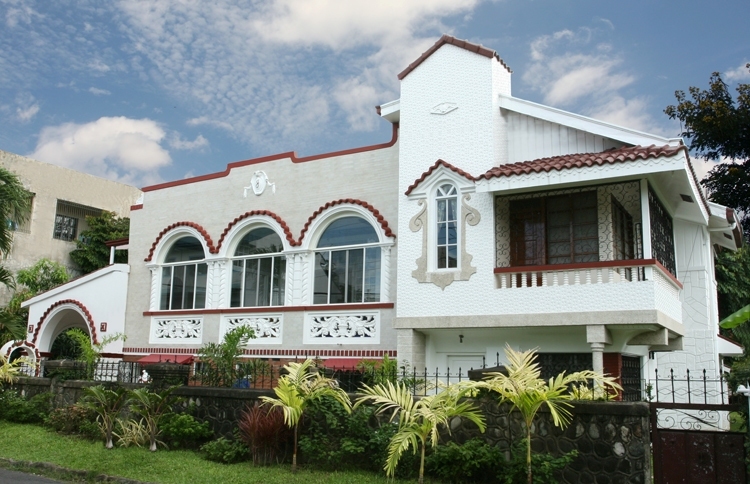 CASA DE DOÑA UPENG is ideally situated in Central Pangasinan. 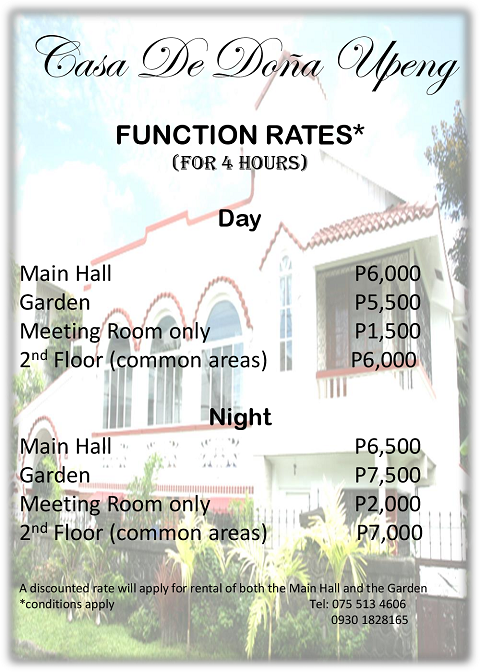 Nearby beaches include San Fabian, Bonuan, Dagupan City and Lingayen. Hundred Islands in Alaminos City and Baguio City, the summer capital of the Philippines, are only 60 kilometers away. Our Lady of Manaoag Shrine is 20 minutes away while the hot springs and zip line adventure of Balungao is about 1 hour away.